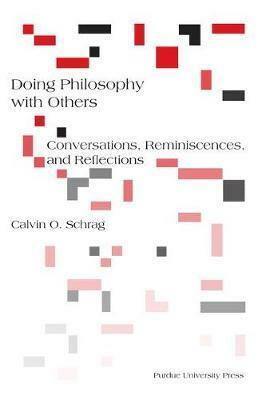 This book portrays philosophy as a communicative endeavour energised by dialogical transactions in which the involved parties strive for an understanding of the meaning of their corporate existence. As suggested by the book's title, conversation, reminiscence, and reflection are entwined activities and processes. Reminiscence and reflection are understood as parts of dialogic encounters that stimulate the embodied conversational economy. Concrete illustrations of these encounters are provided in the conversations of the author with leading philosophers of the twentieth century. These varied conversations, some going back over fifty years, take the form of interviews, joint presentations, epistolary transactions, and casual exchanges of ideas. The postscript addresses issues pertaining to the role of narrative in everyday engagements, the struggle for multicultural understanding, the challenges of conversing across the disciplines in the present-day university, communication as constitutive of knowledge and self-identity, and the requirement for a transvaluation of the political. Calvin O. Schrag is the George Ade Distinguished Professor of Philosophy Emeritus of Purdue University. A graduate of Yale and Harvard, a Fulbright Scholar at Heidelberg and Oxford Universities, a Guggenheim Fellow at the University of Freiburg, and a co-founder of the international philosophical quarterly Continental Philosophy Review, he is the author of nine books, of which the most recently published are The Self After Postmodernity (1999), God as Otherwise Than Being: Toward a Semantics of the Gift (2002), and Convergence Amidst Difference: Philosophical Conversations across National Boundaries (2004).